First there were Finger Hands, little vinyl hands that fit on your finger, much like finger puppets. 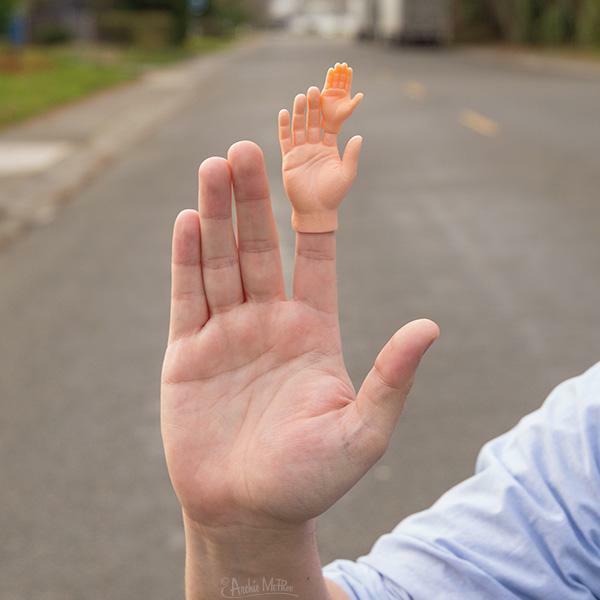 Now, there are Finger Hands for Finger Hands, even smaller hands that fit on the fingers of your Finger Hands (or pens/pencils). Of course, I love them because they’re so perfectly bizarre. For $5 you get 10 of them and they come in light and dark skin tones. 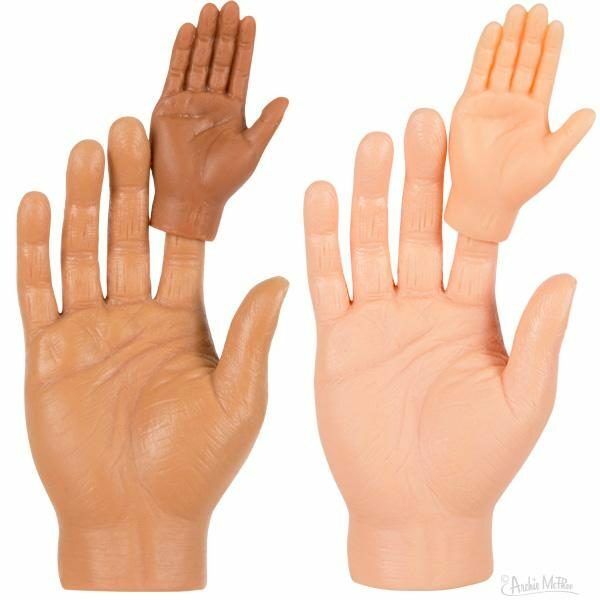 If you need A LOT of them, they are available in bulk too (144 mixed skin tones/left and right hands for $59.95). They’re from Archie McPhee, of course.